Yes, indeed – Sarah asked Amazon’s Alexa, “Where can I get my cracked iPhone fixed in Dubai?” To her dismiss, Alexa didn’t quite have an answer. One of her favorite kitchen appliances can play music, recite cooking recipes, and even cheer her up with the occasional joke. Alexa couldn’t however, direct Sarah to Dubai and Abu Dhabi’s best iPhone repair service. So she decided to explore the trusted ol’ internet with her search for a company that could replace the broken screen on her iPhone SE. She had been walking around with a cracked screen for over two months and finally resolved to get it fixed as it was beginning to cut her fingers with each tap of the screen. Her internet search for cracked iPhone fixed in Dubai turned up several services that promised many a things. After nearly 20 minutes of navigating the different services, she couldn’t get over the ease and transparency of the best iPhone repair service in Dubai – iRepairUAE! She was fascinated by the website and wanted to learn more about the people behind it. She gave us a call and instantly wanted to set up an appointment with us. She said we were friendly and professional from the get-go. We met Sarah at her office in Arabian Ranches and fixed her iPhone SE in under 30 minutes. Sarah would no longer have to deal with the constant worry that one of her fingers was going to need stitches. She no longer had to walk around with the embarrassment of having a broken iPhone screen in Dubai. She was back to having a brand new looking iPhone in the UAE – and she was psyched! For all of your iPhone repair needs, don’t ask Alexa. Instead, check out the best iPhone repair service in Dubai and Abu Dhabi. We’re looking forward to replacing your screens. 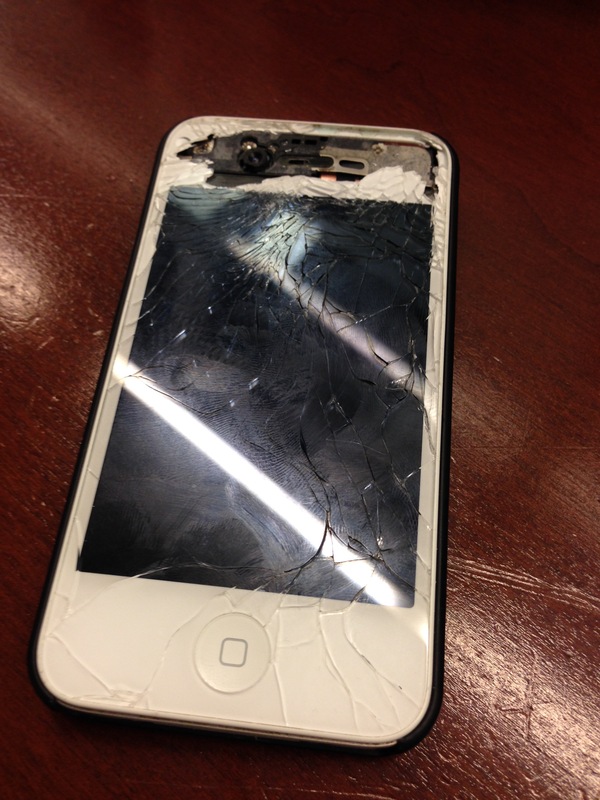 Amanda left her iPhone 5 on her lap as she was getting out of the car the other day. 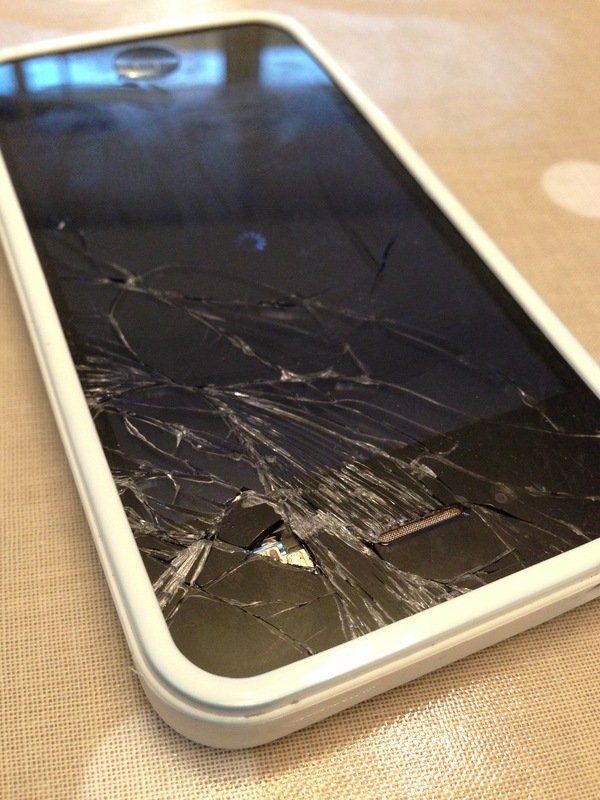 As she stood up, her iPhone 5 was crashing to the cement floor cracking the screen on her brand new phone. 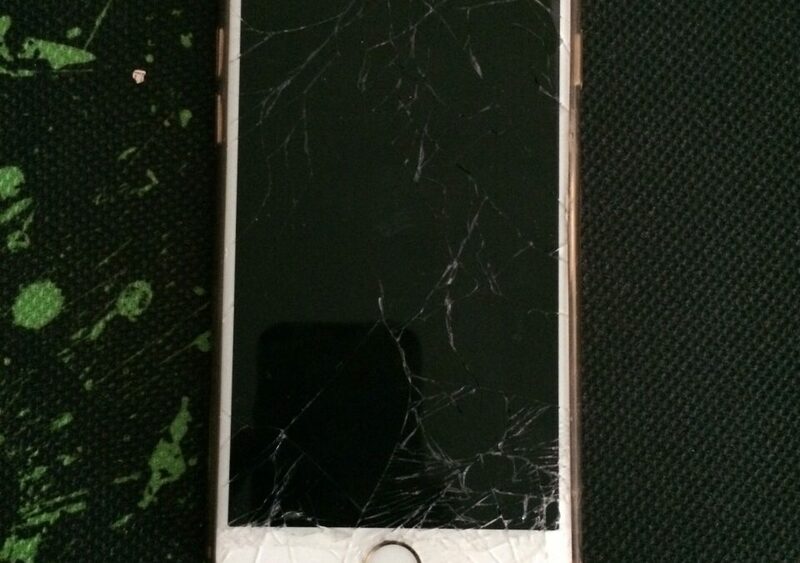 Only a few weeks old, her iPhone 5 had a cracked screen and was slicing her fingers tips with every swipe. She definitely needed an iPhone 5 repair Dubai. As we know, this city is HUGE! And there are countless places that may or may not be able to repair her broken screen. She lived in Jumeirah Lake Towers and was curious if there was a repair center in JLT that did iPhone 5 repair Dubai. She took a walk around her neighborhood to see if any of the local shops did such a thing. Too embarrassed to go into any of them, she just returned back home and wished her cracked screen away. After a few days of silently crying to herself, she decided to be proactive and look for a service that repairs iPhone 5 screens in Dubai. She thought that she couldn’t be the only person out there that had run into this problem before. Surely someone else somewhere else had similar luck. A quick click here and then another there, she stumbled upon our repair service that did iPhone 5 repair Dubai. She need to fix the broken screen on her iPhone 5 and she found the company she wanted to do it. She scanned much of our site and learned about all the happy customers we had helped over the years. We have been in operation since 2009 and have done thousands of iPhone and iPad repairs all across the UAE. We’re always happy to help. 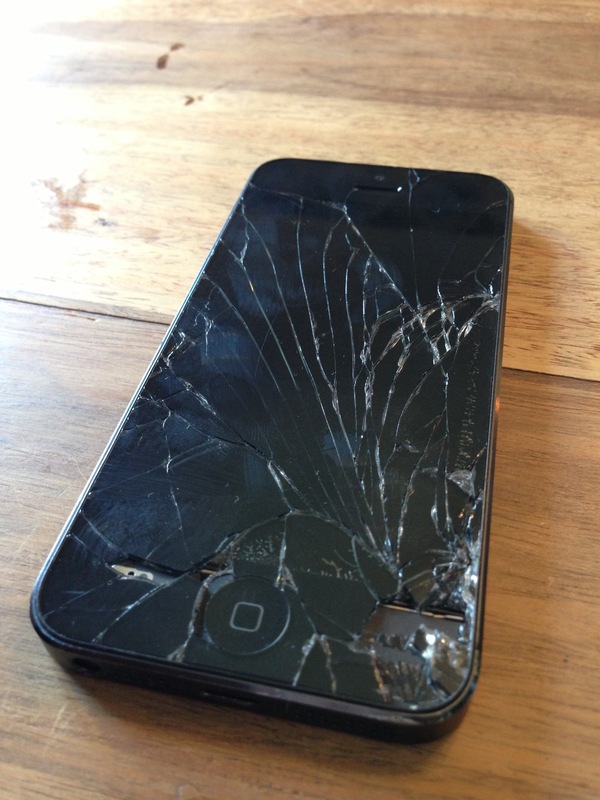 After a brief phone call we set up an appointment with Amanda and had her broken iPhone 5 screen fixed in no time. Help! 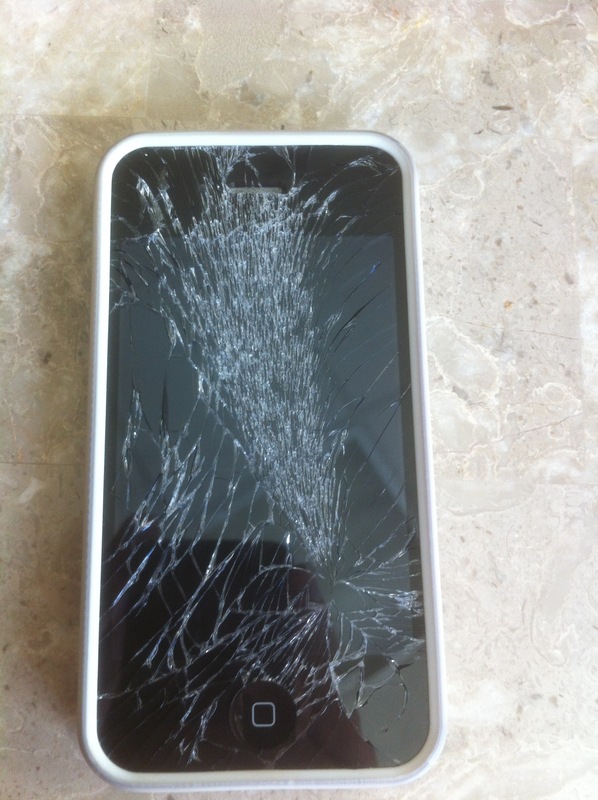 my iphone 4 screen has cracked! John had a bad day. It all started when he was getting out of his car after arriving at work. He had securely put his iPhone 4 in his pant pocket, but when he got up to get out of the car the iPhone 4 fell out of his pocket and went crashing onto the pavement. The result looks like the picture at left. The phone worked fine. Unfortunately, there were large and long cracks running from side to side. Knowing it might be difficult to find a reliable service in Abu Dhabi to fix cracked iPhone 4 screens, he turned to the internet to do a few searches. Within minutes, he found us and find out one of our repair forms after learning the price and the details of how we operate. We called him shortly after and set up a time to meet him at his office later that day. In about 40 minutes, we had his iPhone 4 screen fixed and back to normal.